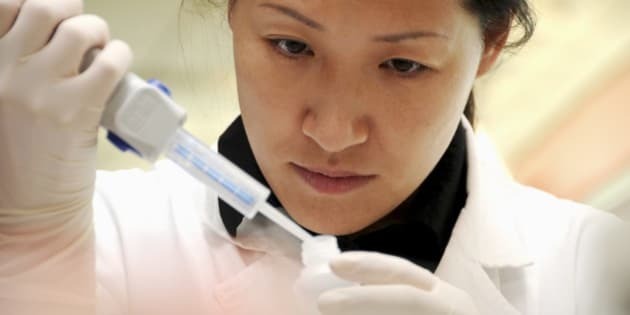 At an important conference in Chicago last June, over 25,000 doctors and researchers from around the world gathered to hear about several new breakthroughs in targeted therapies that will soon play a leading role in the fight against cancer. These innovations will increasingly allow doctors to prescribe made-to-measure drugs that take individual patients' genetic profiles into account. By attacking cancerous cells more directly, these treatments significantly improve patients' chances of survival, all while reducing toxicity risks and other side effects associated with the taking of medication. This is a promising new sector in the field of pharmacology, but this kind of innovation has been going on for some time. The arrival on the market of the drug Gleevec in 2001, for instance, revolutionized the battle against leukemia (CML), a disease that used to be highly lethal. Leukemia patients rarely survived much longer than three to six years. Nowadays, thanks to new, personalized treatments, a patient with this disease can expect to live over 25 years. These innovations are the result of the combined efforts of university researchers and those of the pharmaceutical industry over several years. As documented by historian and oncologist Siddhartha Mukherjee in his Pulitzer Prizewinning work, the advent of chemotherapy and the pharmacological progress that took place during the second half of the 20th century gradually led to substantial gains in the battle against cancer. Today, cancer drugs are the ones that most attract the attention of pharmaceutical companies. Nearly three times as many innovative oncological drugs were developed between 1990 and 2009 as were launched between 1970 and 1989. Within a period of a few years, a modest initiative primarily financed with public funds became a veritable armada involving thousands of companies and hundreds of billions of dollars of private investment. These efforts are starting to bear fruit. While it is true that the number of cancer cases in Canada has doubled over the past 25 years, this is mainly due to demographic growth and the aging of the population, not to an increase in cancer risk. In other words, we're living longer and are therefore more prone to cancer because we're not dying of other causes. Since the early 1990s, the age-adjusted cancer mortality rate has been falling in industrialized countries and in much of the rest of the world as well. Economist Frank Lichtenberg of Columbia University recently looked into the connection between pharmaceutical innovation and mortality rates for some 60 types of cancer. For the 1990-2009 period, he found that the use of new drugs was responsible for nearly 60 per cent of observed reductions in cancer-related mortality rates. It is without a doubt in the treatment of cancers afflicting children that the most remarkable advances have been made. Since the early 1970s, the mortality rates for these types of cancer have fallen by 3 per cent a year on average in Canada, the United States, Australia and Japan, in large part thanks to pharmacological treatments that were developed and made accessible during this period. Today, over 70 per cent of childhood cancer cases that occur in industrialized countries are cured. The pharmaceutical industry is often the target of multiple attacks, yet it is partially responsible for the growing number of people who are now able to live both longer and also healthier lives than ever before. Without pretending that every condition can be treated with drugs or that prevention and other factors are not also important, we must recognize that pharmaceutical research and the therapeutic progress it has entailed continue to be of enormous service to patients. Yanick Labrie, is the author of "How Pharmaceutical Innovation Has Revolutionized Health Care"